Our goal is to connect people with the best local experts. We scored wedding photographers on more than 25 variables across five categories, and analysed the results to give you a hand-picked list of the best wedding photographers in Jacksonville, FL. Alyssa Morgan is a Jacksonville wedding photographer specializing in capturing engaging wedding and lifestyle images. Since opening her studio in 2012, she has been rated one of the top wedding photographers in Jacksonville by Top 10 Wedding Vendors. The studio has been featured on the Floridian Social, Style Me Pretty, and Borrowed & Blue web sites. Angelita Esparar Photography opened in 2008 with a specialty in weddings and portraits. With a Bachelor’s degree in Studio Arts, this company's lead photographer creates artistic sharp, crisp, and colorful images. The studio has been featured in Style Me Pretty, Modernly Wed, A Military Story, Every Last Detail and the Celebration Society. Angelita Esparar Photography serves the Northeast Florida and Southeast Georgia regions and is available to travel anywhere for destination weddings. Appleseed Photography is a Jacksonville wedding photography studio. The team's other areas of expertise include family, newborn, and maternity portraits. Other services provided include engagement, destination weddings, and modeling headshots. Because of their artistic approach to capturing memories, the studio received the 2013 and 2014 pick for The Knot's Best of Weddings and Wedding Wire's 2014 Couples' Choice Awards. The local and destination photography studio Black Creek Photography specializes in weddings, music festivals, and newborn, maternity, and family portraits. Although the studio is in Jacksonville, Black Creek Photography LLC travels all over the world for weddings. The Bow Tie Photo Studio complements a mixture of candid realism with creative portraiture for memorable impressions. Having served areas throughout Florida and Washington D.C., the studio is willing to travel worldwide for destination weddings. Cailin Smith Photography Studio was established in 2011. The studio's focus is in capturing Jacksonville weddings and newborns with a photojournalistic style. Cailin Smith Photography serves the greater Jacksonville area, as well as customers in St. Augustine and Ponte Vedra. With a background in photojournalism, Christy Whitehead Photography & Design captures candid, emotional images with an unobtrusive style. Packages include newborn, family, corporate, and wedding photography. The studio works in areas of Jacksonville, St. Augustine and Amelia Island in Florida along with parts of Georgia. Though based out of Fernandina Beach, Florida, Confidence Photography is willing to travel all over the globe. The team specializes in wedding, engagement, high school senior, and boudoir photos. Customers like Confidence Photography for their professionalism and their willingness to go above and beyond to capture the best possible images. Cousart Studios of Fine Art & Photography takes wedding and family images in St. Augustine and the surrounding areas. The studio uses a candid, unobtrusive style to capture the natural emotions of a wedding. The team also creates oil paintings and oil, acrylic, watercolor, and pastel landscapes. Favorite Photography takes a photojournalistic approach to capturing images, specializing in engagement, wedding, and family photos. The full-service photography studio also incorporates design, printing techniques, and advanced imaging processes. The company travels all over Florida for events, including St. Augustine, Amelia Island, and Daytona Beach. Favorite Photography has won the 2015 WeddingWire Couples’ Choice Award and The Knot’s 2013 Best of Weddings. Haddock Photography uses a candid, photojournalistic style to capture fun and creative images. Specializing in wedding photography in Jacksonville, the studio also covers areas in Northeast Florida and South Georgia. The team can also be booked to travel for destination weddings. Influenced by artistic expression, I Am Jax Photo covers weddings in Jacksonville. The studio also specializes many other photography services including parties, photo booths, corporate events, dance recitals, and sports. I Am Jax Photo was ranked in the top 20% of the most popular photographers in 2014 by Viewbug.com. Jay Grubb Photography captures images for weddings, family portraits, and outdoor activities. The company serves areas in Southern Georgia and Florida, but travel accommodations can be made for destination weddings and retreats. They incorporate art stabilization to capture high-quality videos for wedding packages. Customers felt Jay Grubb Photography was friendly, professional, and able to capture the essence of the day with beautiful images. Jenn Guthrie Photography, established in 2010 in Jacksonville, Florida, serves the whole North Florida area. The studio captures timeless engagement and wedding photographs as well as tender newborn and family images. They have received both the 2014 and 2015 WeddingWire Couples' Choice and The Knot’s Best of Weddings awards. The Jenn Hopkins Photography studio uses a contemporary photojournalistic style to capture weddings in Saint Johns, Florida and beyond. The studio also photographs engagements, families and children. They were awarded WeddingWire's Bride's Choice in 2011, 2012, and 2013, and The Knot's Best of Weddings in 2012 and 2013. The Jenn Hopkins Photography studio has been featured in Southern Weddings, Every Last Detail, and Style Me Pretty. Katie Weber Photography has photographed weddings in St. Augustine and destinations across the country since in 2010. The studio uses a contemporary photojournalistic style to tell a story through candid, non-choreographed images. 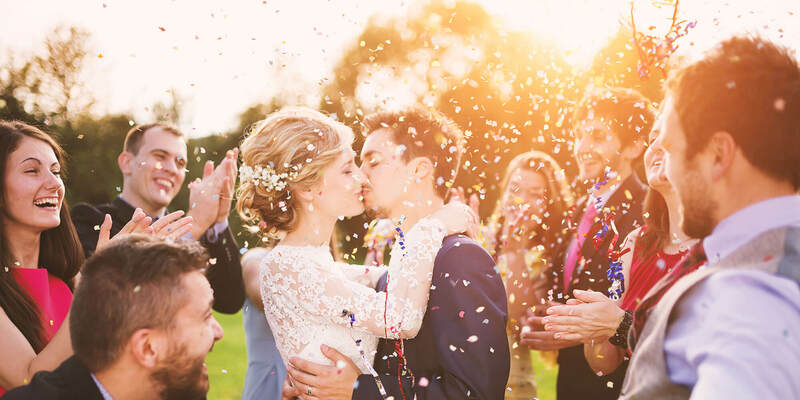 Maris Kirs Photography is a member of the PPA (Professional Photographers of America) and enjoys producing detailed wedding photos that capture treasured moments. The studio photographs weddings, engagements, families, children, and expecting mothers in the Jacksonville, Ponte Vedra, St. Augustine, and Fernandina Beach areas. Since 2010, Matt Whytsell Photography has taken stunning wedding, engagement, family, and lifestyle photos. In 2015, the company received a WeddingWire Couples’ Choice Award. Though based in the Northeast Florida region, the team will travel internationally for destination weddings. MJV Photography has a creative and artistic background that flows into the photographs they produce. In addition to wedding and engagement images, they are also available for newborn pictures, family portraits, and much more. The company covers the St. Augustine, Jacksonville, and surrounding Florida areas. Since beginning in 2010, Stephanie W Photography has taken family and wedding photos that incorporate a chic, candid, and emotional style. The studio journeys through areas from Jacksonville to St. Augustine, Amelia Island, and Fernandina Beach. This studio is available to travel for destination weddings. Theresa Childs Photography has over 16 years of experience taking wedding photographs. The studio also covers engagements, newborn and family events. They serve local customers in Northeast Florida, and have photographed destination weddings in Georgia, North Carolina, Tennessee, Louisiana, New York, and California.